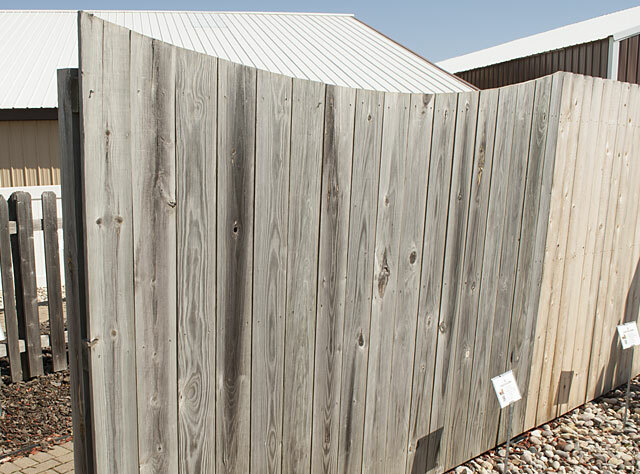 The solid rough cut Cedar fence comes straight, arched, Scalloped or dog eared. It comes in 4, 5, 6 and 8 foot heights. Cedar is more weather resistant than other species. It also resists insect infestation. Left uncovered, it weathers to a silver grey color. Heights: 4 ft., 5 ft., 6 ft., 8 ft. 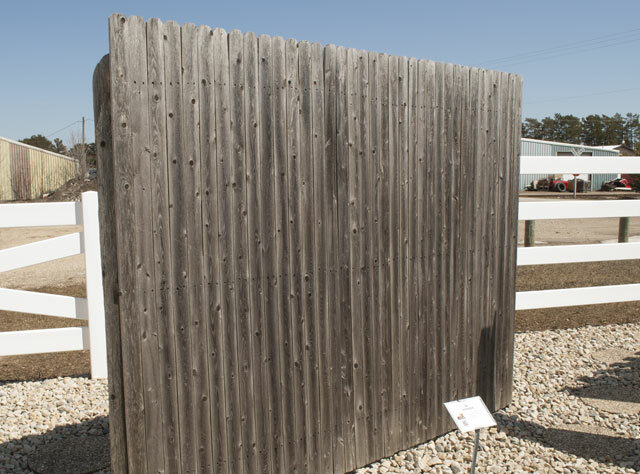 The custom built solid treated lumber fence comes straight, arched, Scalloped or dog eared. It comes in 4, 5, and 6 foot heights. 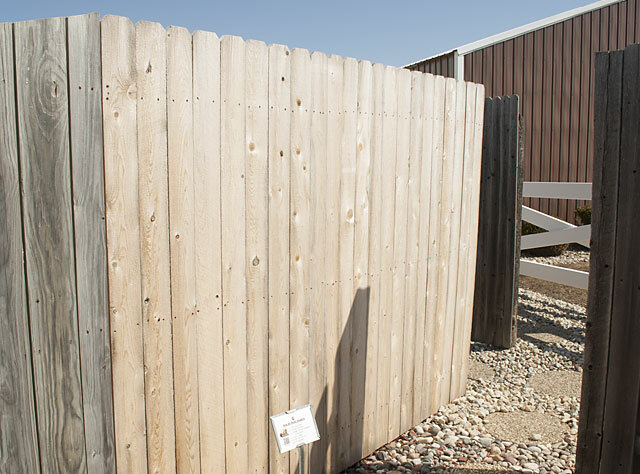 The classic stockade fence is a privacy fence with 2 ½ inch pickets. It comes in heights of 5, 6 and 8 feet. Heights: 5 ft., 6 ft., 8 ft.